The security processes in place today when a customer reports a stolen contactless card allow — in a “limited set of circumstances” — for the card to be misused by fraudsters “several months after it has been cancelled,” FCA chair John Griffith-Jones wrote in a letter to the Treasury Select Committee published last month. The key risk to customers occurs when merchants process payments offline and store them in a batch to process later on, Griffith-Jones explained. At present, around 45% of contactless card transactions occur offline. The FCA set out last month a series of measures it plans to undertake in order to tighten the processes banks undergo when a customer reports a stolen contactless card. These include removing the dependency on customers to identify fraudulent transactions, improving customer communications at the time of cancellation and providing clarity to customers on the clearing times for contactless payments. There will always be some contention between convenience and security but it is shrinking. The Internet has dramatically reduced the cost of persistent connectivity. 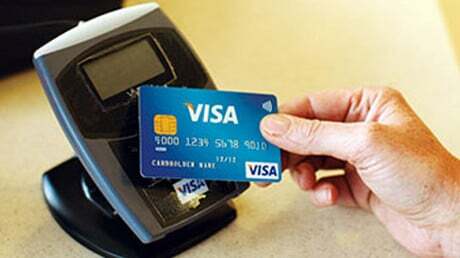 It is good to see Visa taking advantage of it. That said, even “smart cards” are relatively dumb when compared to mobiles. Cards will aiways be more vulnerable than mobiles. In the US we are too poor to have contactless EMV. Our problem is that all of our cards, EMV, contactless, and others have the credit card account number in the clear on a magnetic stripe. The sole protection that we have to protect against fraudulent use of a lost or stolen cards is online checking against the list of cards reported lost or stolen.